Perfect for leisure and business travelers alike, the newly renovated Econo Lodge of Princess Anne features a seasonal outdoor pool, a deluxe continental breakfast, free high-speed internet service, warmly appointed guestrooms and friendly professional service. The hotel which is located in Princess Anne and is easily accessible off Route 13, is close to the historic downtown area. 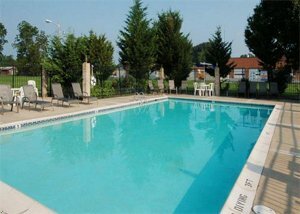 The property is also minutes away from the University of Maryland Eastern Shore, the Salisbury Zoo and to all the fun and sun of Ocean City, MD and Chincoteague Island, VA. Located on US 13 in Princess Anne, MD. 12 Mi. south of Salisbury. 15 Mi. north of Pocomoke City.